Jeff Johnson is a teller of stories, developer of messages, and architect of social solutions who’s as comfortable in front of the camera as he is behind the scenes developing strategy and messages for his clients. The award-winning journalist and communications specialist is managing principal of the Baltimore-based strategy firm JIJ Communications, where he provides strategic insight and messaging consulting to clients in the private, public, and entertainment sectors. Over the last two decades, Johnson has developed expertise in communications, political engagement, and strategic consulting to create a unique career committed to developing solutions and systemic change. 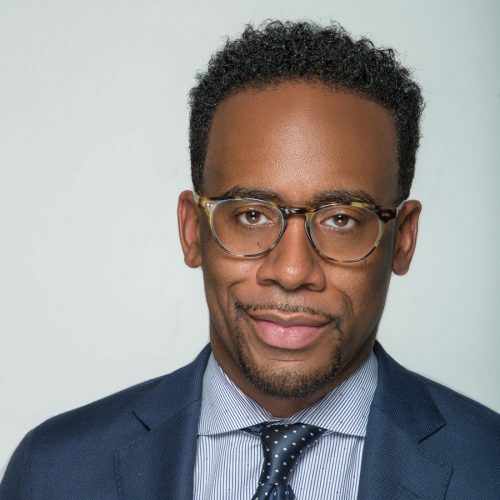 He has interviewed President Barack Obama and Hillary Clinton for BET News; wrote the 2009 book, Everything I’m Not Made Me Everything I Am; and provides regular content for the nationally syndicated Rickey Smiley Morning Show. He also is the creator, host, and executive producer of Mancave, a late-night talk show targeting urban men that aired on BET in 2018.